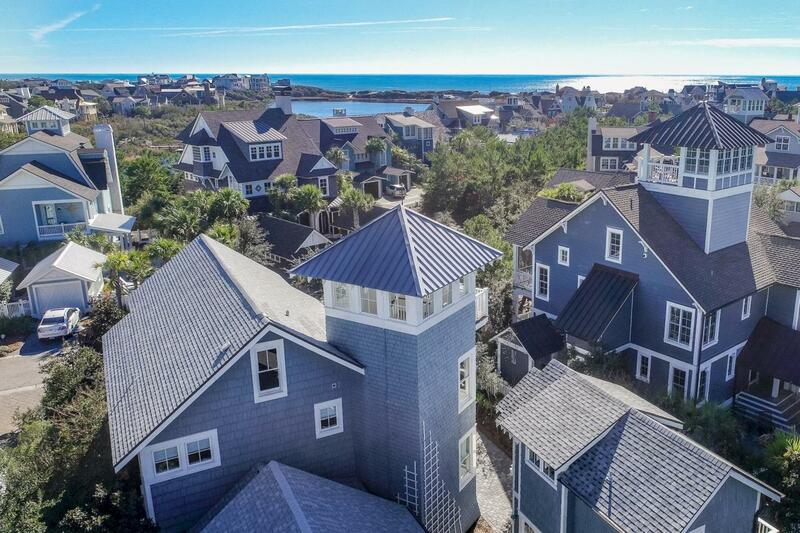 Gulf views rarely come in a better package than this WaterSound home. This characterful residence includes eye-catching architectural features, enviable outdoor living space and a carriage house with kitchenette for guests. 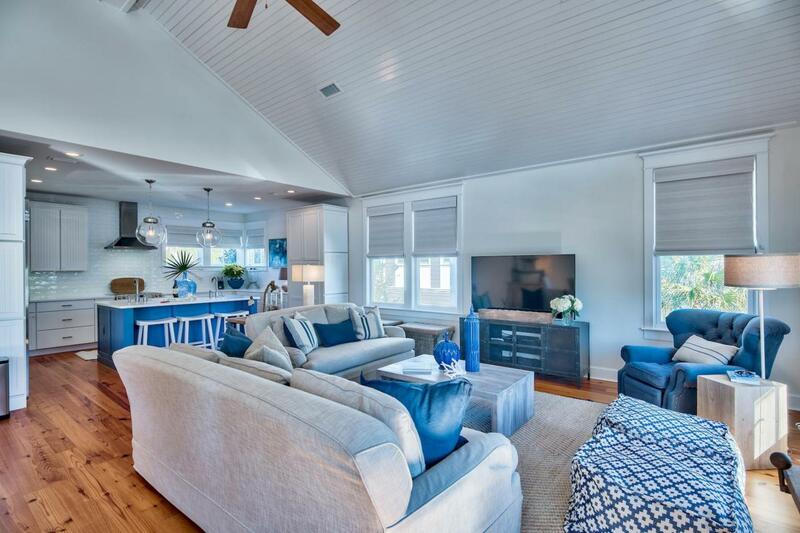 This quintessential beach home is steps from the white sandy beach and warm gulf waters in a sought-after community bordering Camp Creek Lake. 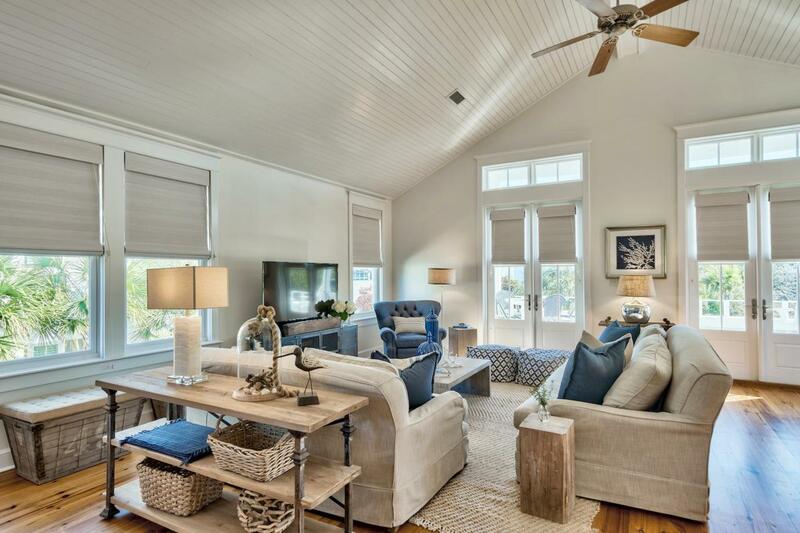 Melissa Skowlund of Summer House Lifestyle has put her inimitable stamp on the newly refreshed interior decor. Gleaming hardwood floors, soaring ceilings and detailed craftsman trim provide those luxury touches that create a unique and comfortable home. You'll immediately appreciate the design and spaciousness. There's a 2nd living room on the first floor with custom-built storage ready for you to display your personal treasuresThe blue and white kitchen with its modern fitments and island bar perfectly demonstrate the blend of quirky and practical with a seasoning of good taste. More built-ins furnish the hallway to the master bedroom where the ensuite bathroom boasts an oval clawfoot bath tub and separate walk-in shower. Climb to the rooftop for breathtaking views and toast each glorious sunset from your personal eyrie. 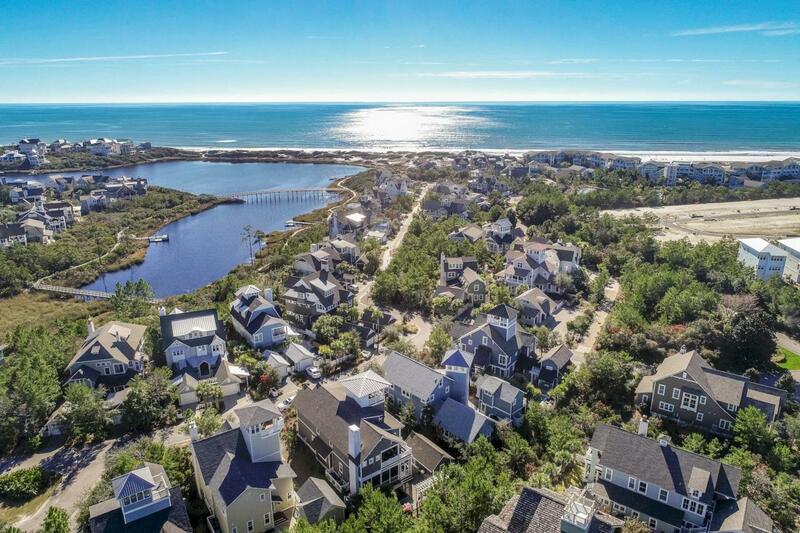 When it comes to planning the day's activities in this coastal community there's ample choice. Head over the sand dunes to the Beach Club, explore the local nature trails, play golf or perhaps meet friends for lunch at the WaterSound Caf. Nearby Scenic 30A provides easy access to Deer Lake State Park, and fine dining in Rosemary Beach. It's all part of the WaterSound lifestyle.